The median list price in RANCHO SANTA FE, CA 92067 this week is $2,965,000. The Market Action Index has been climbing lately while days-on-market are trending down, these point to a positive near-term outlook for the market. 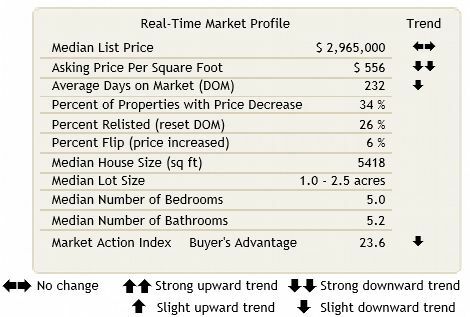 While prices have been at a plateau for a number of weeks, this is a Buyer’s market and the supply of homes listed has started growing relative to demand. This indicates that prices could easily resume a downward trend in conjunction with the MAI. Prices are unlikely to move significantly higher until there is a persistent upward shift in the MAI. The median list price in Rancho Santa Fe, CA 92067 this week is $2,990,000. 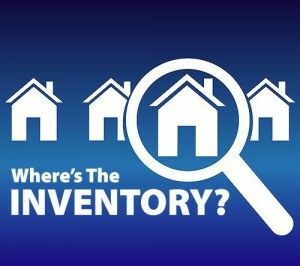 Inventory is up and Market Action is trending down recently. While days-on-market appears to be trending lower, the overall conditions are weakening a bit. 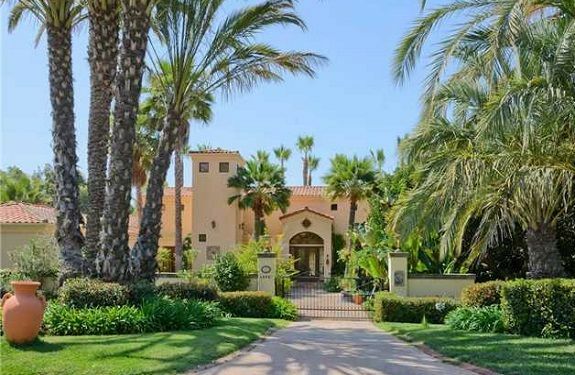 The median list price in Rancho Santa Fe, CA 92067 is $3,100,000. 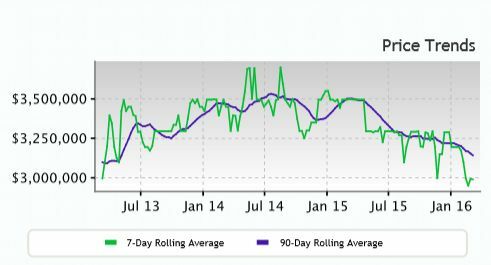 The Market Action Index has been trending down lately, while inventory and days-on-market are climbing,. 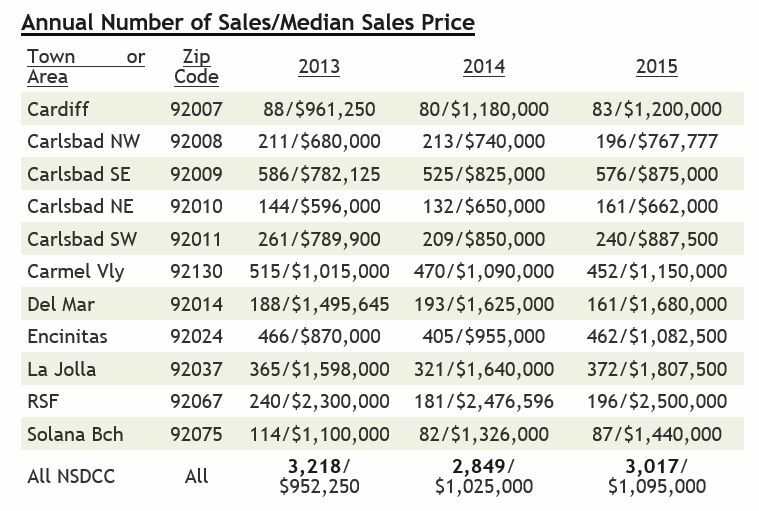 These trends imply a weakening Rancho Santa Fe real estate market. 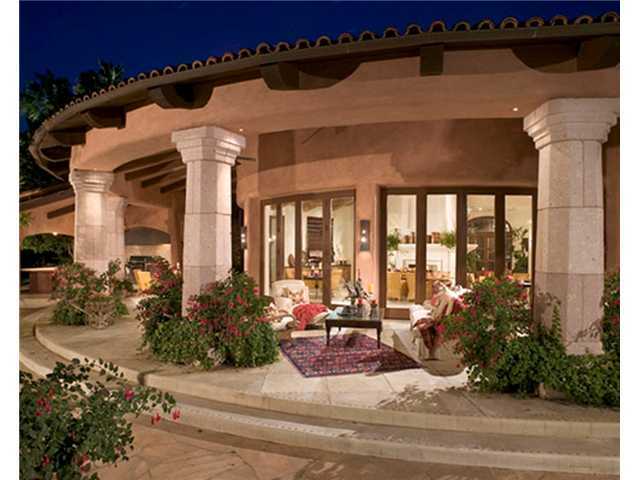 Rancho Santa Fe home sales have begun exceeding new inventory for several weeks. 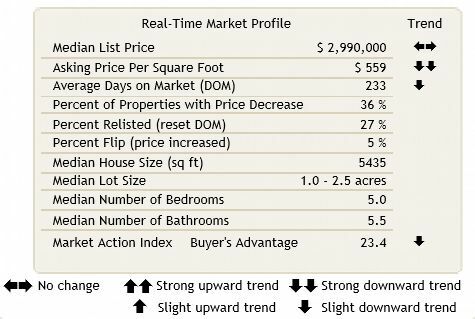 Since this is a buyer’s market, prices are not yet moving higher as excess inventory is consumed. 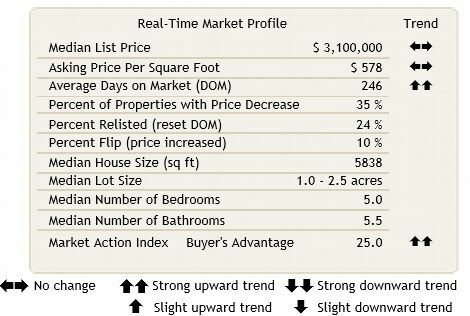 However, as the supply and demand trend continues, the market moves into a seller’s zone, and we are likely to see upward pressure on pricing. 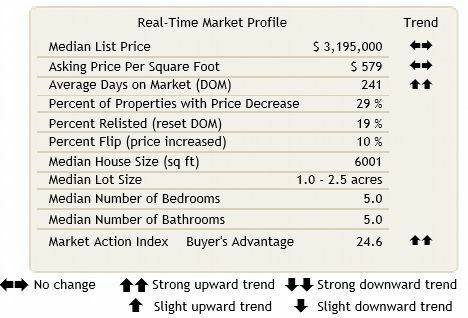 Rancho Santa Fe real estate prices seem to have settled around a plateau. Look for a persistent down-shift in the MAI before we see prices move from these levels. 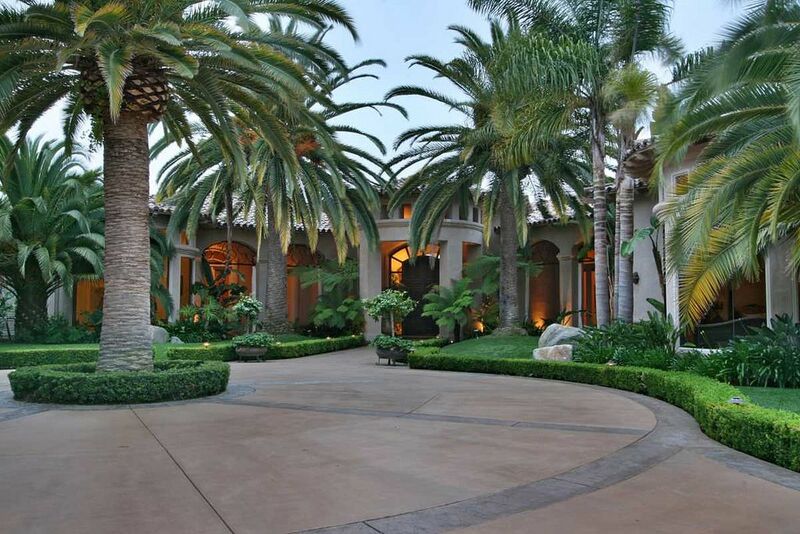 It’s a Buyer’s Market in Rancho Santa Fe! The median list price in Rancho Santa Fe, CA 92067 is $3,195,000. 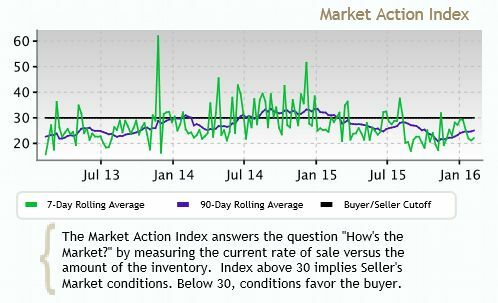 Inventory has been decreasing lately but the Market Action Index is falling also. 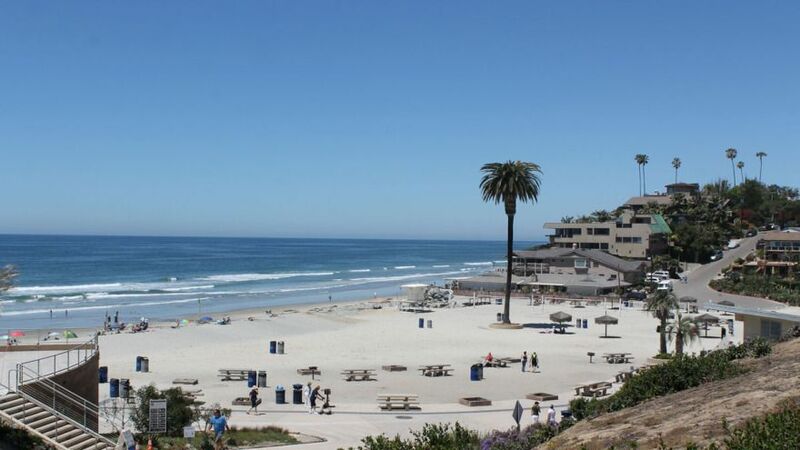 With days-on-market climbing, these are relatively negative implications for the Rancho Santa Fe real estate market. 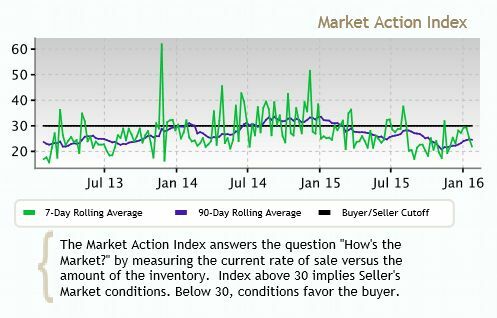 The Market Action Index answers the question “how’s the market?” by measuring the current rate of Rancho Santa Fe home sales versus the amount of inventory. Index above 30 implies seller market conditions. Below 30, conditions favor the buyer.